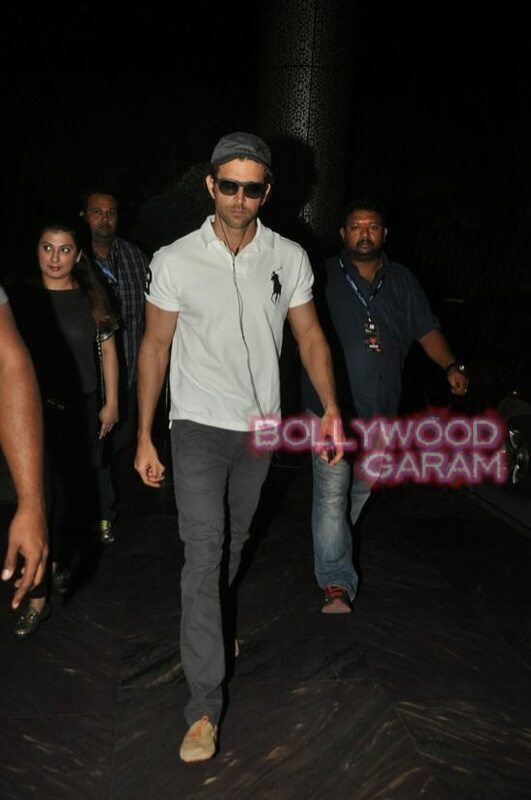 Bollywood star Hrithik Roshan at a suburban hotel in Mumbai. 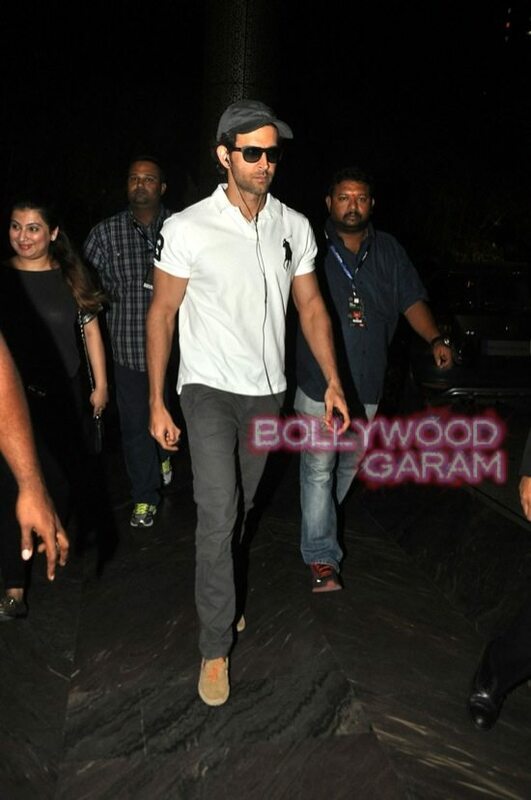 Bollywood’s heartthrob Hrithik Roshan was photographed at a suburban hotel in Mumbai on October 6, 2014. 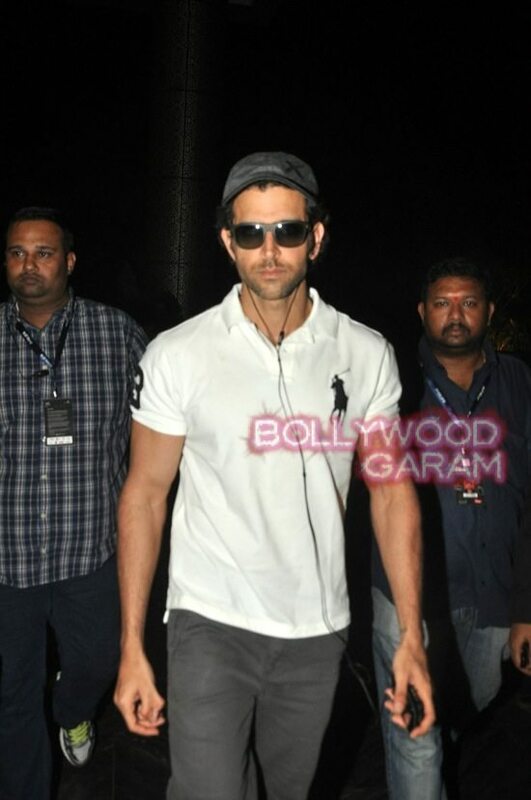 The ‘Bang Bang’ actor was seen in a white t-shirt and grey pants. 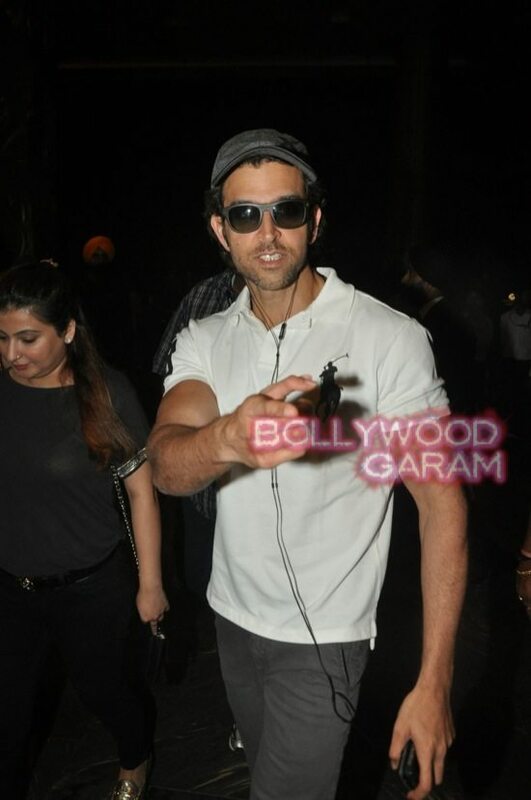 The actor is currently enjoying the super success of the movie ‘Bang Bang’ which hit the theaters on October 2, 2014. The movie also features Katrina Kaif, Jaaved Jaffrey, Jimmy Shergill and Pawan Malhotra. ‘Bang Bang’ has now become the 5th Bollywood movie with the highest opening in India after ‘Dhoom 3’, ‘Chennai Express’, ‘Ek Tha Tiger’ and ‘Singham Returns’. The movie is the official remake of the Hollywood movie ‘Knight and Day’, which had Tom Cruise and Cameroon Diaz in the lead.